Being charged with reckless driving is more than an allegation of poor driving skills. It is a second degree misdemeanor charge that can potentially land you in jail for up to 90 days or saddle you with a fine of up to $500. An individual can be charged with reckless driving if he or she is alleged to have engaged in any type of driving behavior that willfully or wantonly endangered him- or herself and others. A few examples of behaviors that could warrant a reckless driving charge include speeding, driving while distracted by a smartphone or tablet, and failing to obey posted traffic signs. Using a motor vehicle to flee from law enforcement is also an act of reckless driving. Although pleading guilty to the charge is certainly an option, it is not your only option. You can fight your charge and in many cases, you should. An experienced criminal defense lawyer can help you build and uphold your legal defense strategy. The court must prove that you willfully drove in a dangerous manner without regard for the safety of others or their personal property. In order to demonstrate this, the court may rely on eyewitness accounts and records of your driving pattern surrounding the alleged incident. Without this evidence, the court might not be able to prove that your actions behind the wheel were wanton in nature. If the court cannot prove that you were the one operating the vehicle at the time of the alleged incident or if it cannot prove that it occurred on a specific roadway, the court might not have sufficient evidence to find you guilty of reckless driving. 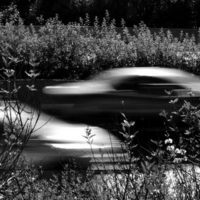 In a speed-related case, your lawyer might be able to prove that the arresting officer’s radar was not calibrated properly or that your GPS showed a different speed than the speed at which your vehicle was actually traveling. In cases related to failure to obey a traffic sign, your defense strategy could involve the poor visibility of the sign. If another motorist, a passenger, a bicyclist, or a pedestrian was injured when your alleged act of reckless driving occurred, you could be liable for this individual’s damages. Personal injury claims are civil claims and exist independently of criminal charges. Even if you are not found guilty of reckless driving, you could be liable for the victim’s personal injury damages and required to pay for them through your automobile insurance policy. If you have been charged with reckless driving or another traffic offense, do not assume that your case is not worth defending. Reckless driving is a criminal charge and as such, your case should be handled by an experienced criminal defense lawyer in Miami. Contact our team at Ratzan & Faccidomo, LLC today to schedule your initial consultation with our firm, during which we can help you determine the right defense strategy for your case.